Pesach Seder RSVP - Chabad of Placer County, Where every Jew is Family! with hand-baked Shmurah Matzah, four cups of wine and a full course gourmet Kosher for Passover dinner. All children will actively participate in running the children's Seder! No Charge! Entire Jewish community is welcome, regardless of affiliation! Yes, I would like to be a sponsor for the Seder - $180! I have other plans for the seders, however I would like to help sponsor a seat for others who may not be able to afford. Please indicate your sponsorship amount below. 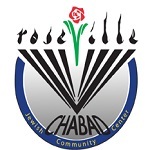 Please mail donations to Chabad of Placer County, 4410 Douglas Blvd. Granite Bay, CA 95746, before Passover. We will not be accepting donations at the Seder.